Pramod Patil is a founding member of the Marathi language school in Austin. He a passionate leader and involved in helping various local non profits, social causes and is also serves as a commissioner on the Asian American Quality of life commission. Pramod works very hard and focused on teaching young generation about the Indian heritage, language and celebrating different cultures together. Pramod has done many art projects and is a very good writer, choreographer and director. He loves outdoor activities and is a proud finisher of IRONMAN 70.3. Asavari Paranjape is originally from Pune, India. She has completed her MS in Computer Engineering from North Carolina State University and works here in Austin. She has always been interested in teaching Marathi. Teaching gives her the best opportunity to be with kids. 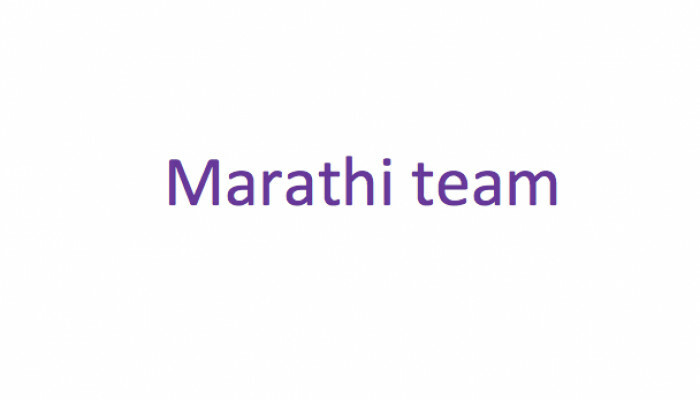 Marathi is her mother tongue and she is very happy that she is helping other parents with the same desire of teaching their kids their own Mother tongue. It also gives her the opportunity to keep the culture and traditions alive. Outside Shiksha and her day job, Asavari loves spending time with her family and is a proud mother of two kids. Manda Kulkarni is a passionate teacher who believes in a need of a close community for Indian children growing up here in the United States. She firmly believes that a strong community raises confident, well adjusted, and well grounded children. With that in mind, she volunteers to teach Marathi, Marathi culture, science, math, and engineering. Good teachers make a strong impact on children’s lives. Manda came from Maharashtra. She comes from a family who started a school in rural India which operates on the principle of “Parishrama” or self-reliance. Manda engineer by profession, teacher and grandmother by heart, enjoys being part of Shiksha Marathi school. Harshal Patwardhan is a motivated volunteer and loves to be around kids. Harshal actively participates in various community cultural activities in and around Austin and brings in lots of enthusiasm to the team.